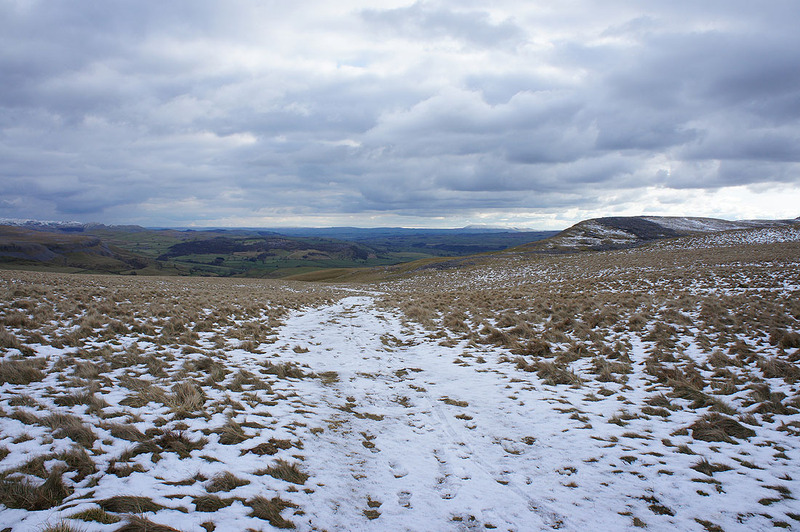 After not really having any snow to speak of during "winter" it would appear that the approach of spring has prompted the weather to try and make up for it with the high hills getting a good covering. 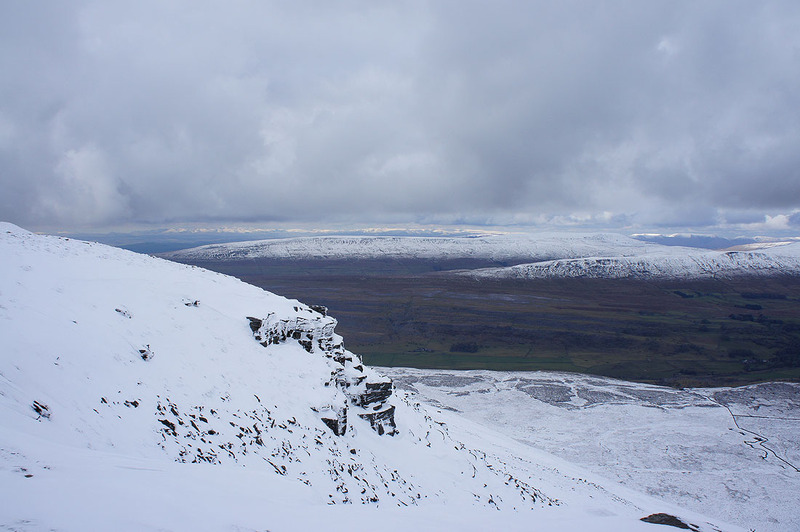 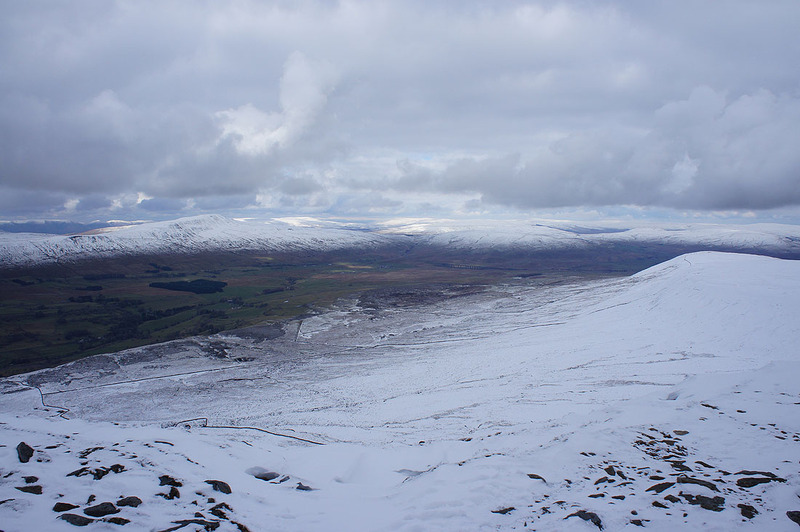 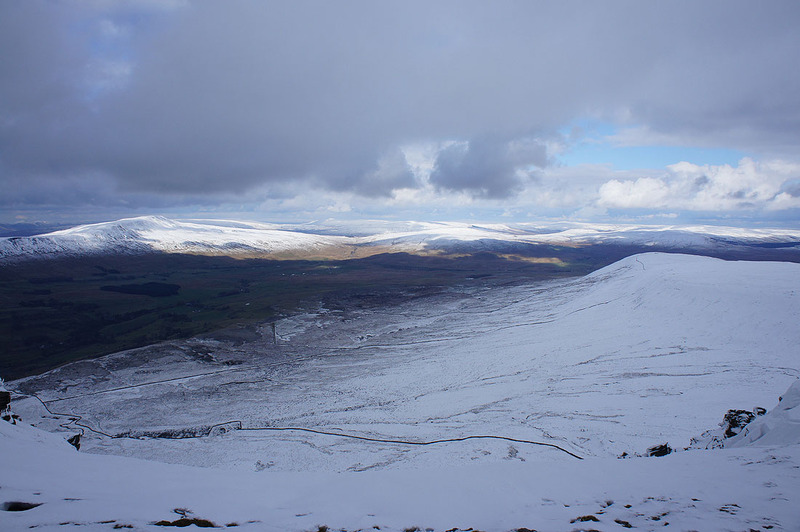 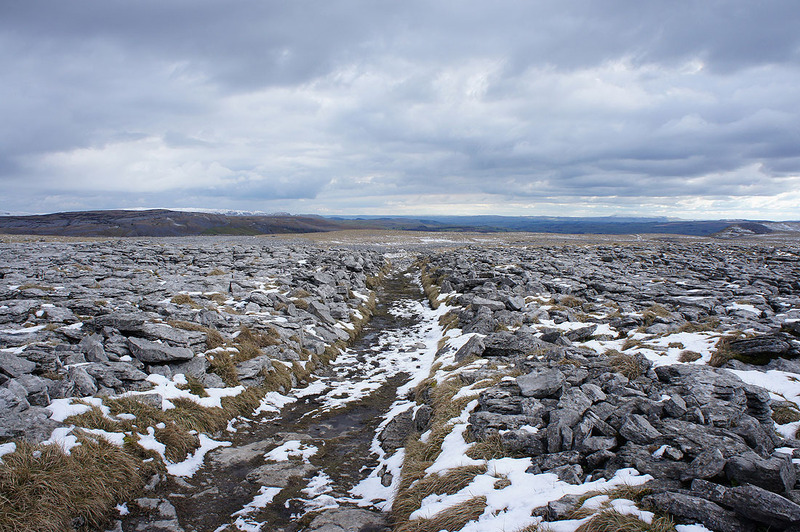 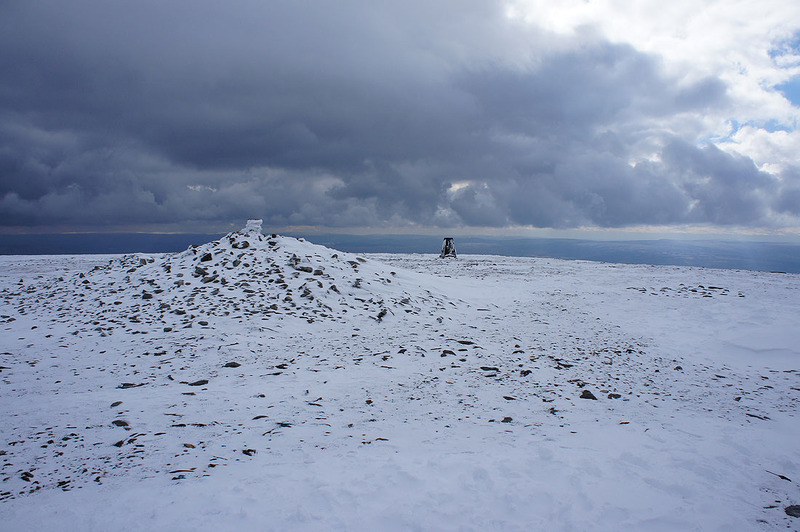 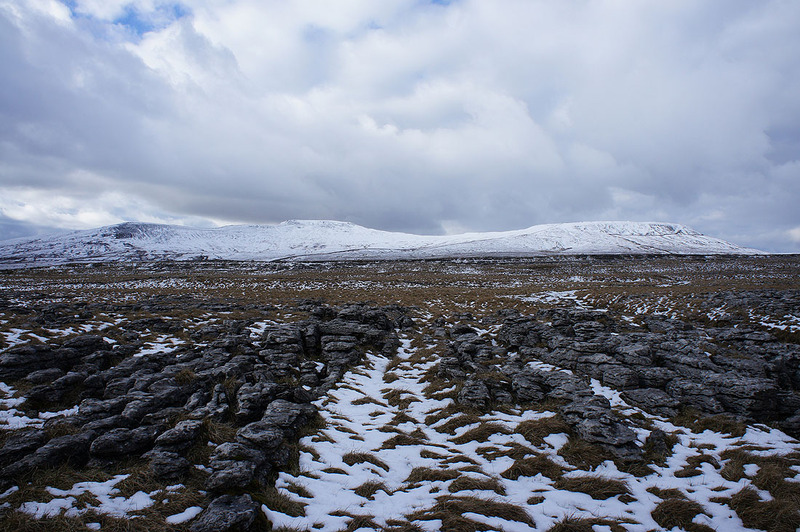 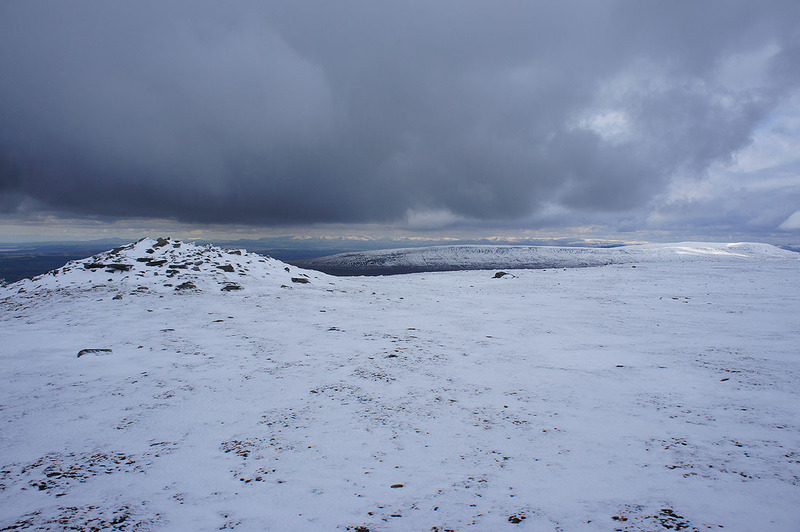 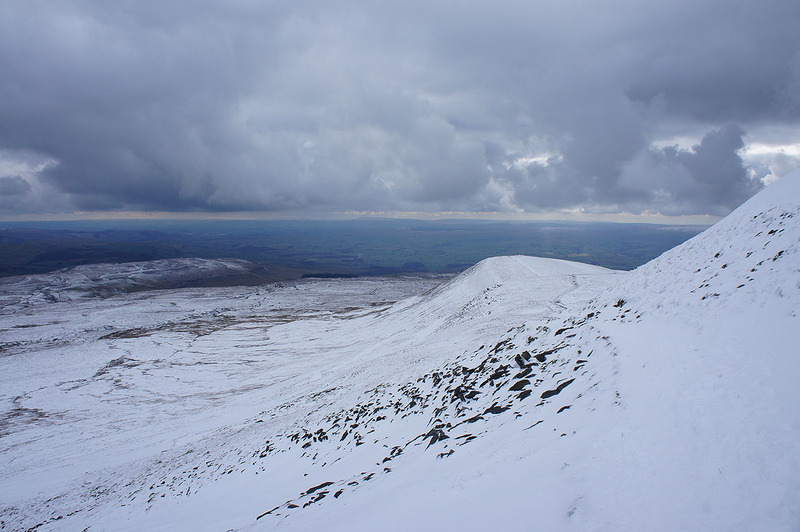 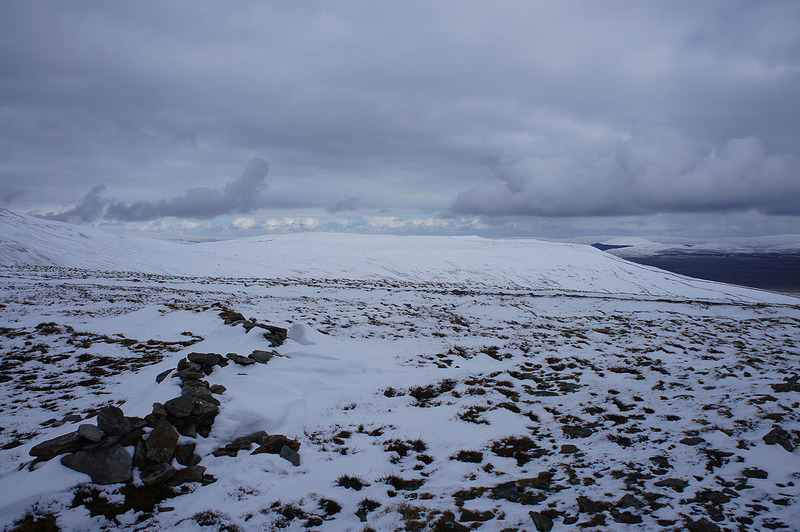 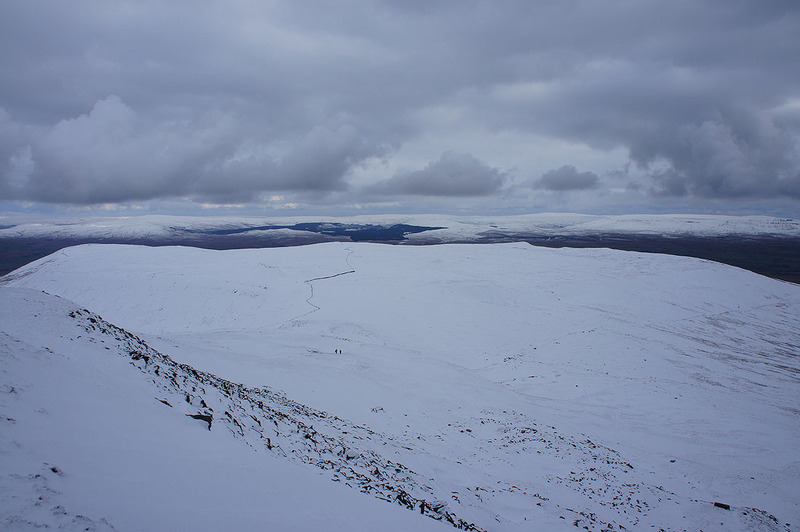 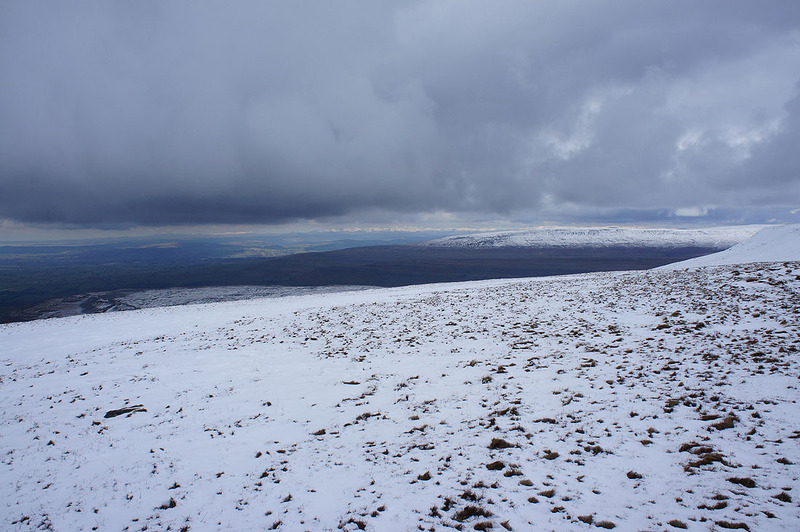 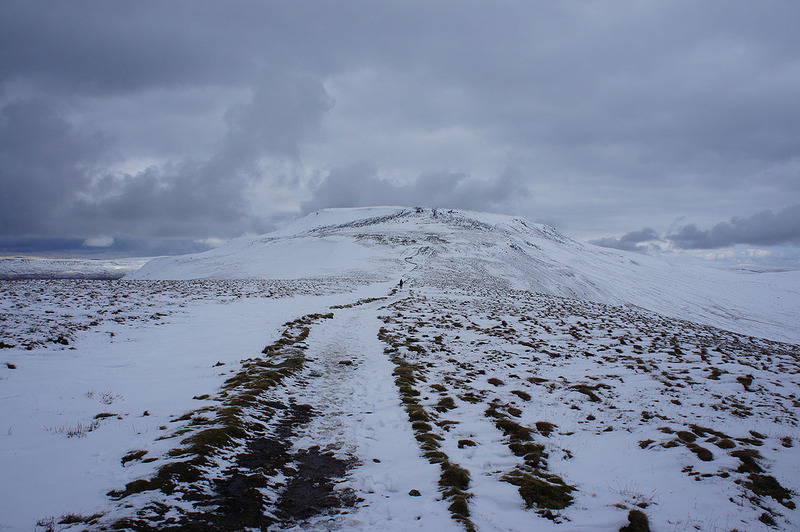 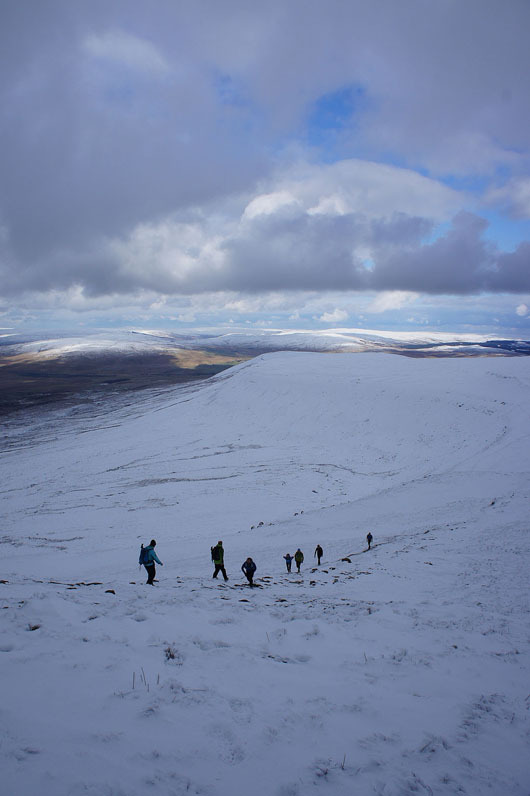 I fancied having a walk up Ingleborough, a hill that I seem to enjoy climbing when it's covered in the white stuff. 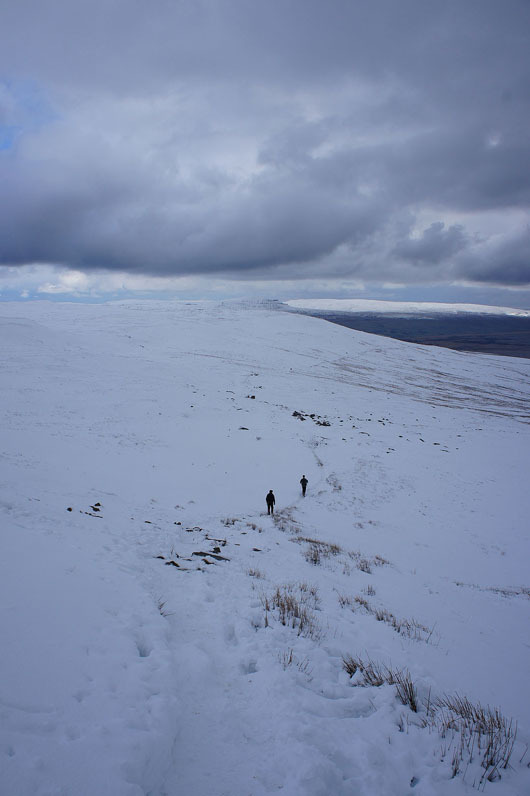 Today means that three out of my last five visits have been in snow and those were done from Clapham, like today. 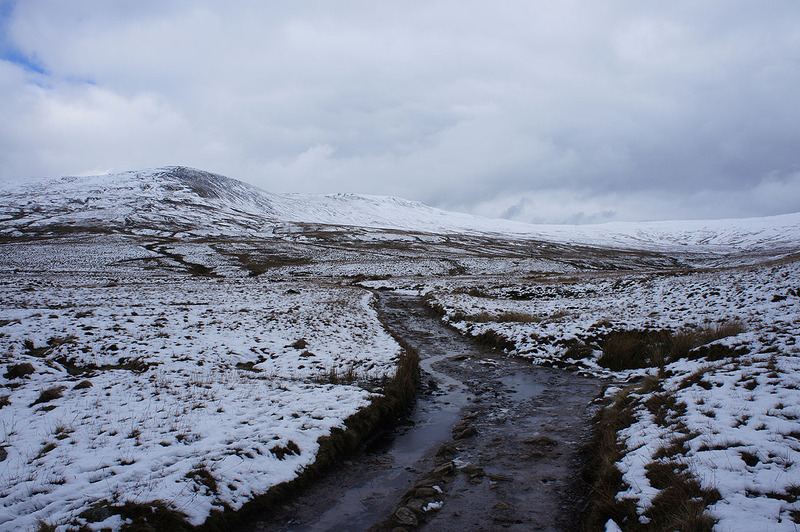 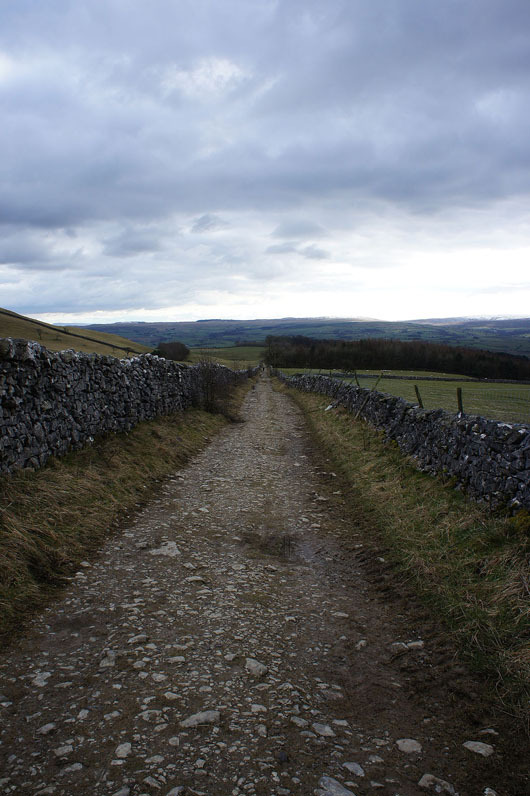 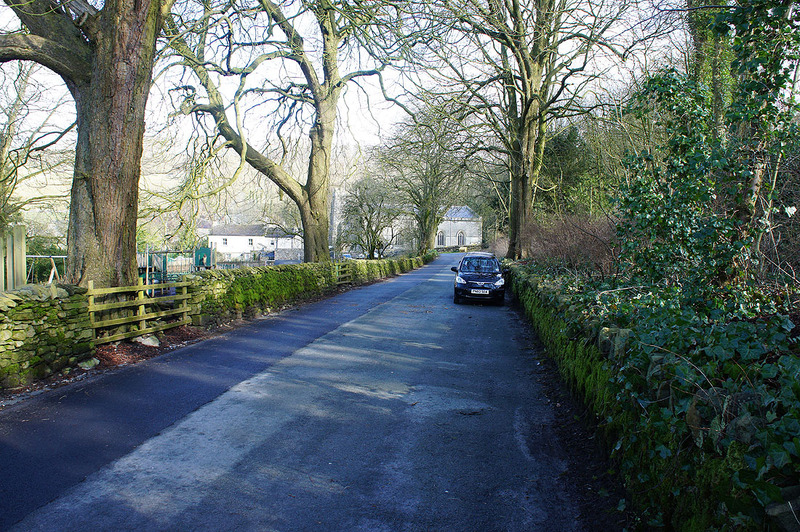 It's a relatively safe route to do when there's snow and ice about, it being on mostly gentle gradients. 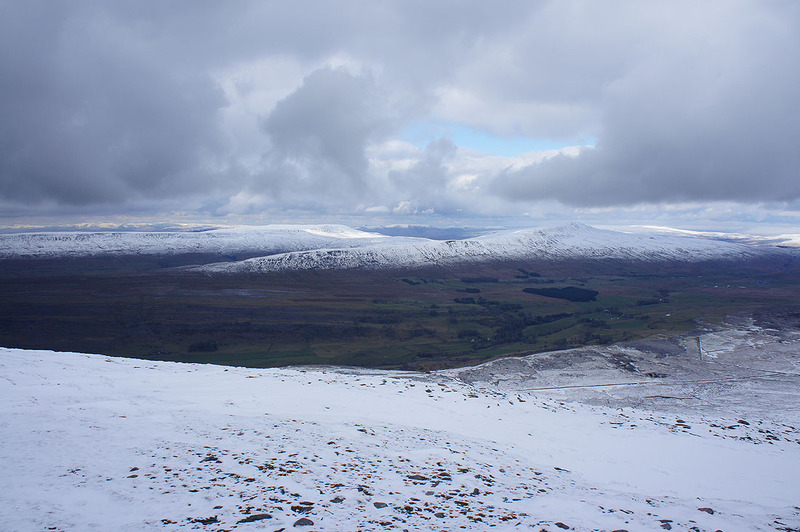 It was a cold day but fortunately there were light winds all the way up to the summit so I managed to do without the need to wear my hat and gloves. 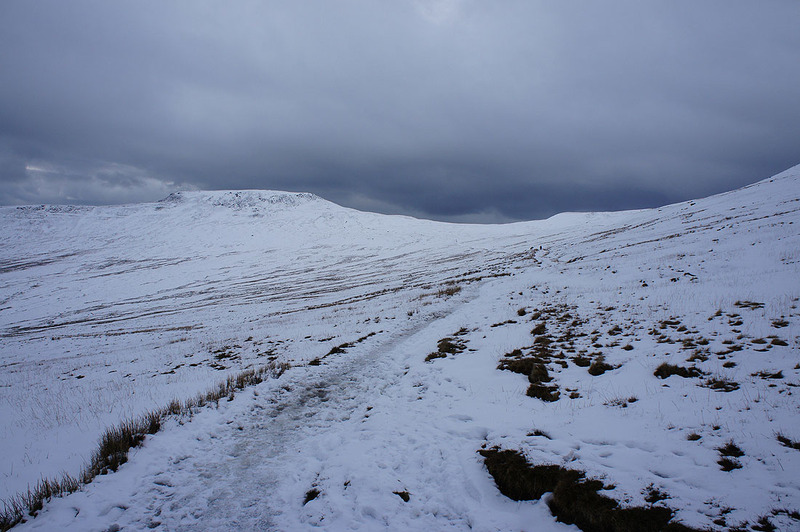 Unfortunately there wasn't much in the way of sunshine but great visibility did mean that long distance views all the way to snow covered Lake District fells could be enjoyed. 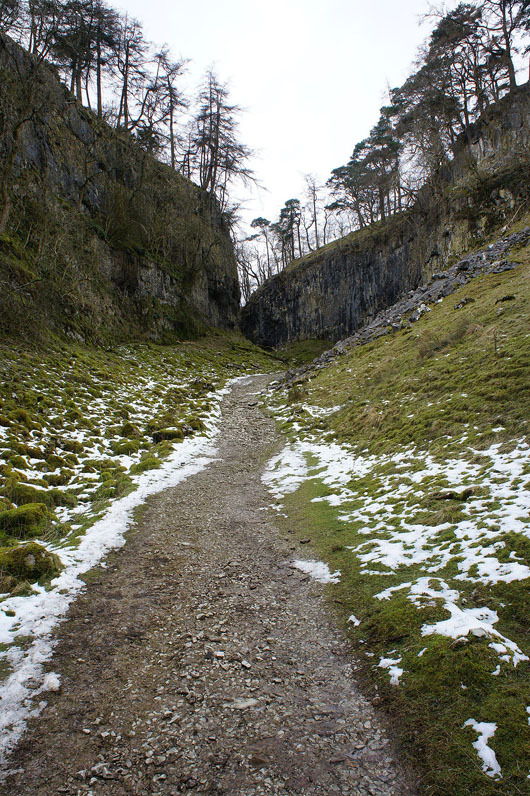 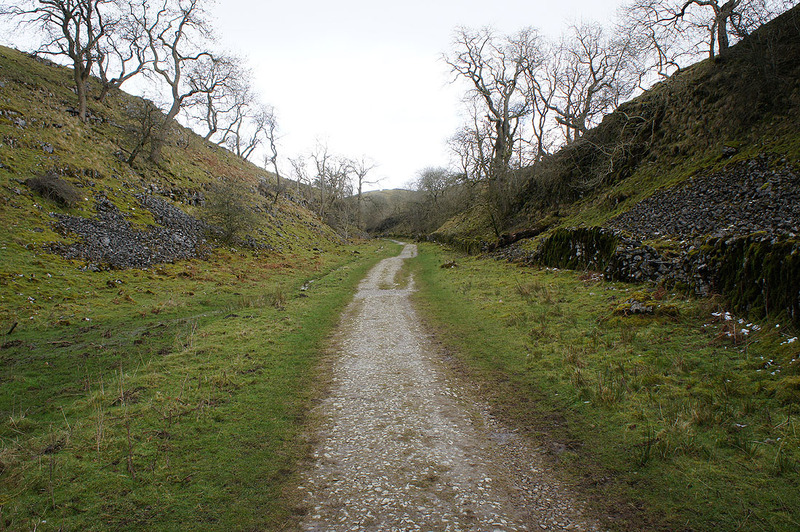 Past Ingleborough Cave and I'm making my way up Trow Gill..
Out of Trow Gill and now I can see Ingleborough. 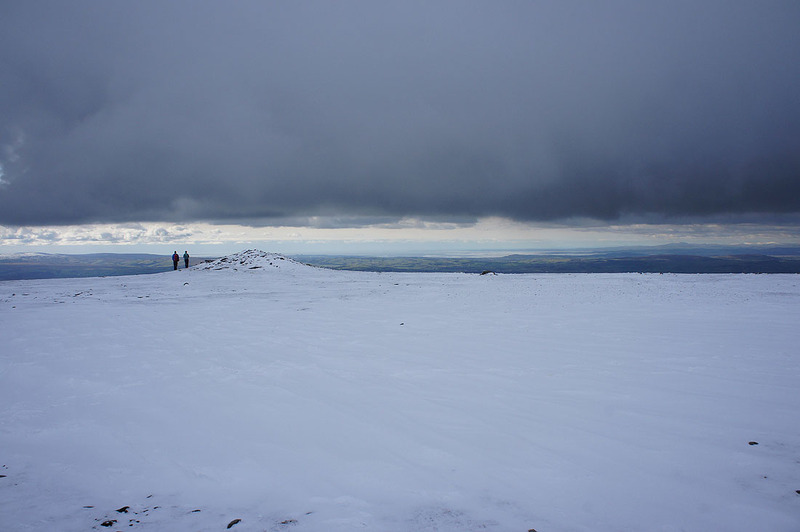 I'm pleased that its top is clear of cloud. 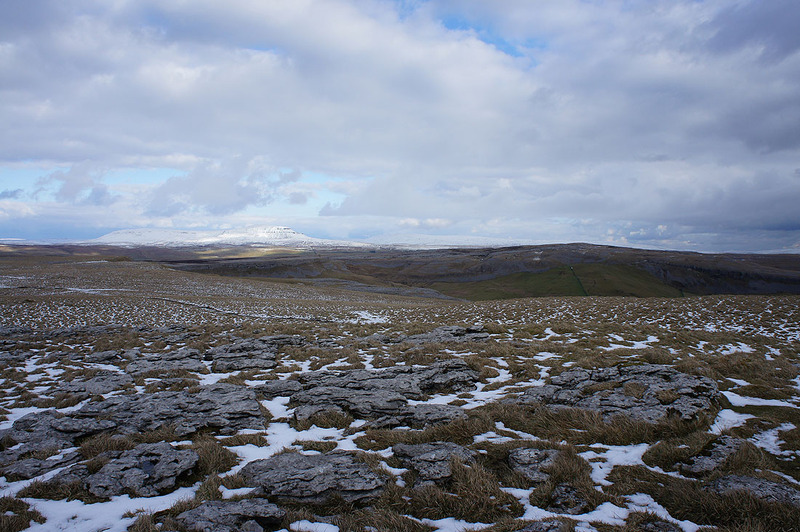 Penyghent and Fountains Fells to the east. 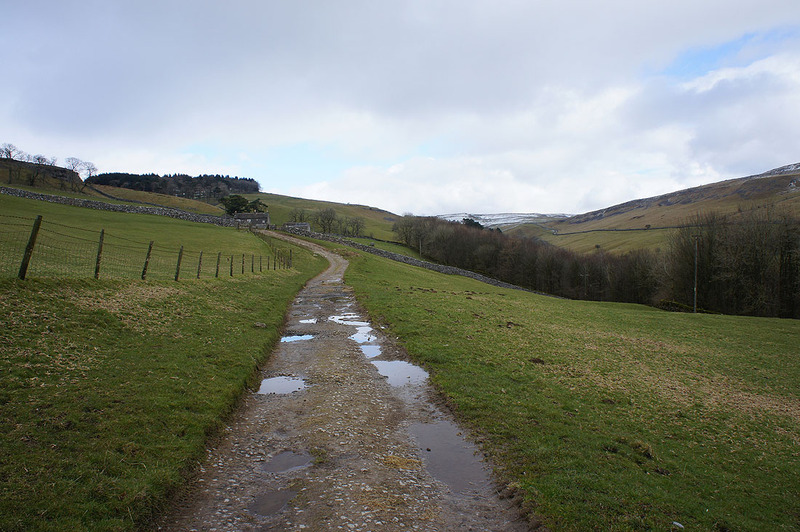 The lack of sunshine doesn't help with making them out. 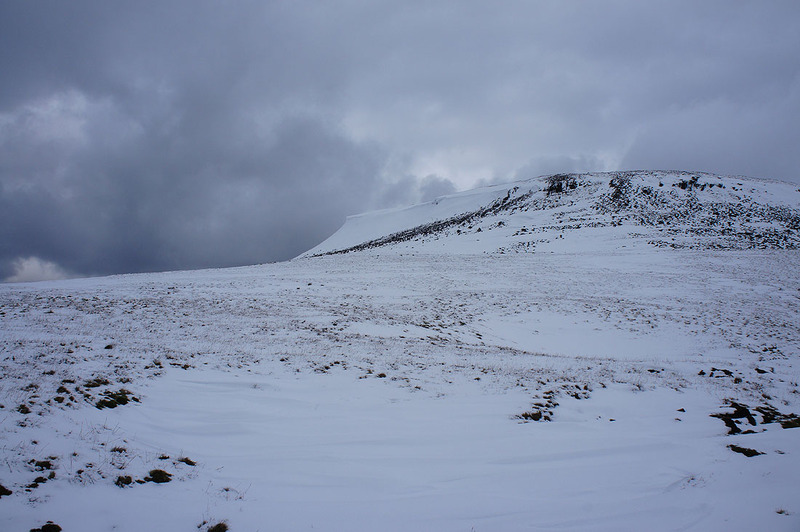 There's a bit of a cornice on the western side of the plateau. 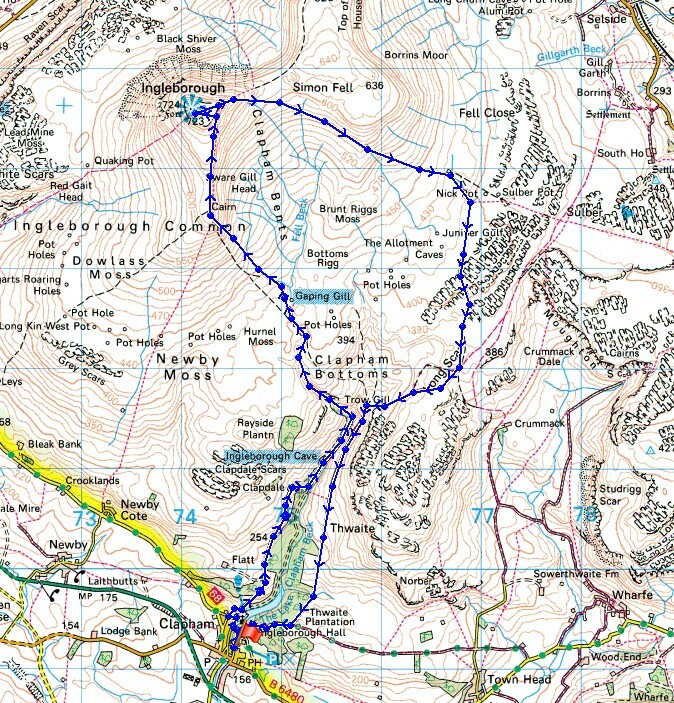 It can't be helping if you're doing the ascent from Ingleton. 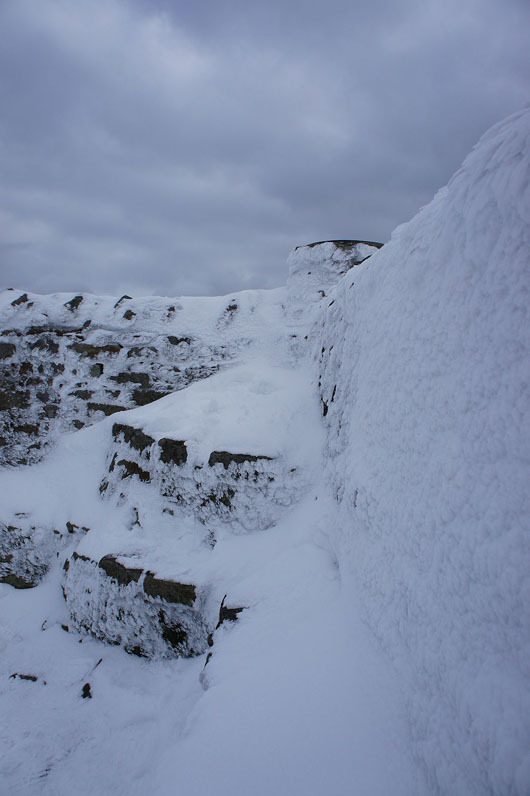 An ice encrusted shelter. 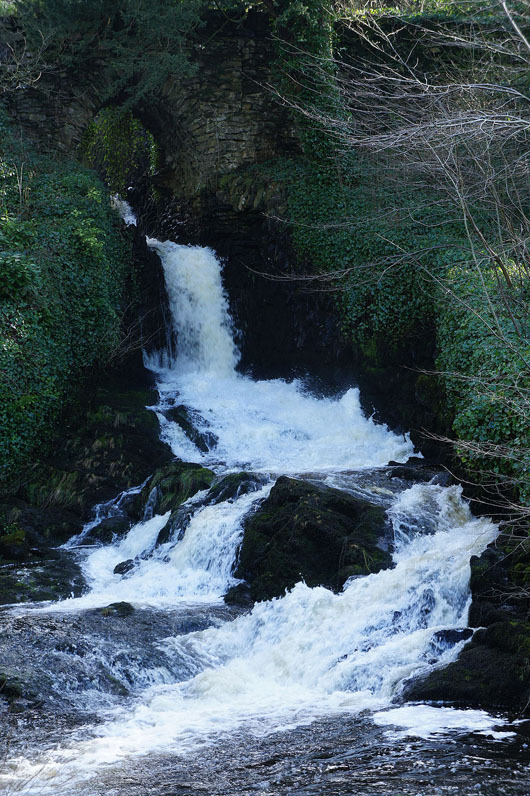 There weren't many places to sit. 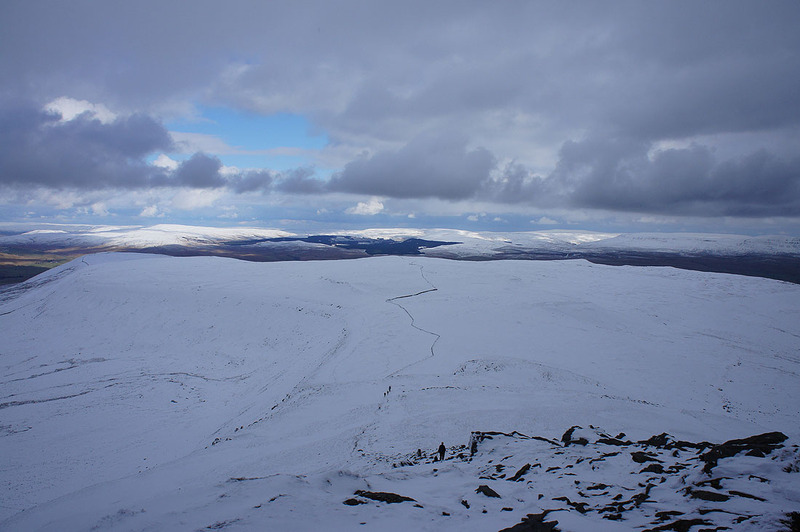 A bit of sunshine improves the view to the north. 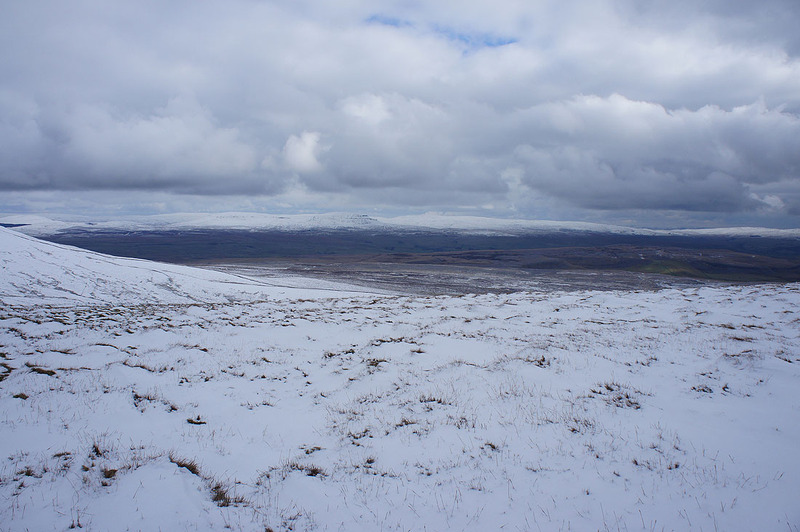 As well as Whernside, I can make out the fells around Mallerstang and Great Knoutberry Hill.